With a bag full of fresh new-year wishes and tech products, CES 2017, the truly global consumer electronics trade show stands just some feet above our expectation. 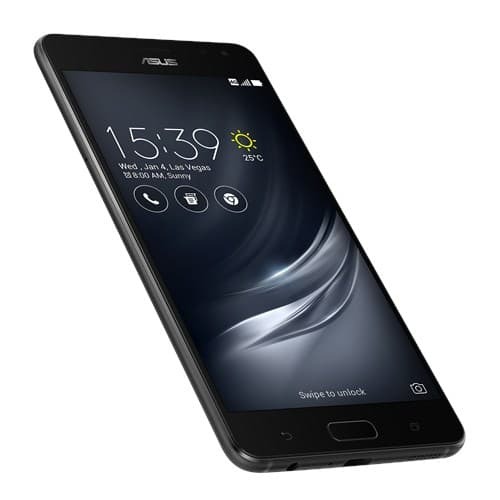 Today, your smartphone favorite list ought to create a vacancy for this one named ASUS ZenFone AR, the second of its “Tango” kind. Sound familiar? The Google Tango project was first introduced in the Lenovo Phab2 with its magical augmented reality to view the surroundings and edit them at your might. This year, tag it market policy or an immense will to capture the trend, ASUS brings you the same technology, with updates and an extra “Daydream ready” facility right on top to redesign the virtual experience. 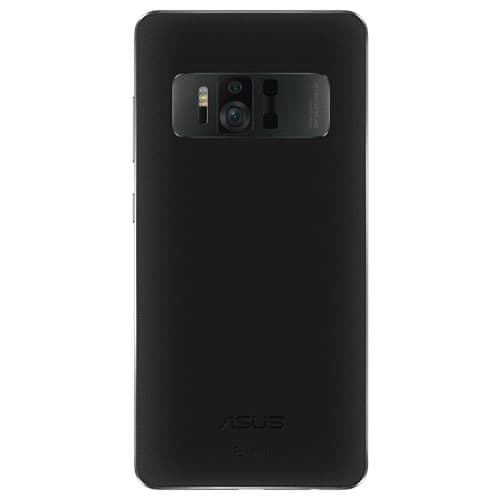 Minimalist design, a burnished-leather rear panel guarded via a metal diamond-cut rectangle is absolutely contemporary in terms of style and justifies the ASUS’ craftsmanship. What’s more? You get a stainless steel to safeguard your camera lens. Weighing 170 g, and bearing a dimension of 158.67mm x 77.7mm x 4.6mm the phone features a 5.7-inch WQHD Super AMOLED screen sporting a resolution of 2560 x 1440 pixels and mated with a Corning Gorilla Glass4. The display further boasts of the Tru2life technology for high contrast and outdoor readable experience, plus a blue light filter is added to protect your eyes. Zooming inside the core, you will be amazed to see the herculean 8GB LPDDR4 RAM, a special addition, supporting the VR experience. Powered by a 64-bit Qualcomm Quad-Core Snapdragon 821 clocked at 2.35GHz and coupled with an Adreno 530 GPU, the setup is perfectly optimized to support the “6DoF” concept clubbed to the system. To subside the enormous temperature, a super advanced vapor cooling technique is fabricated. What about the smartphone camera? One of the primary part of this hi-tech gadget being the TriCam system highlights a Motion tracking camera, a Depth sensing camera with an infrared (IR) projector and 23 MP primary camera, all together, build the effect of Tango. The rear one couples with a Sony IMX 318 sensor module, a f/2.0 aperture, 6 P Largan lens and a Dual-LED real tone flash whereas the front one is glued with an 8 MP camera that sports an f/2.0 aperture with 85˚ wide-viewing angle. The ZenFone AR runs on the latest Android 7.0 that fits an overlay of ZenUI 3.0. Housing a battery of 3300 mAh with Quick Charge 3.0 the smartphone will be available in 32GB, 64GB, 128GB, 256GB variants, offering a gargantuan external storage of Micro SD Card up to2 TB. Connectivity wise, the futuristic smartphone boasts of 802.11a/b/g/n/ac standard, Bluetooth V 4.2, WiFi Direct and 2G,3G,4G. Giving a pro touch to the audio systems, ASUS is built with AR’s SonicMaster 3.0 technology that emerges sound with quality and effect. Summing up all, this is probably the new generation phone that ushers an era of hi-end technology with the essence of reality. Building a profound impact, we expect it to launch in the mid of 2017.